"On the 10th January 2017 the Post Office Limited proposed to close 93 Post Offices. 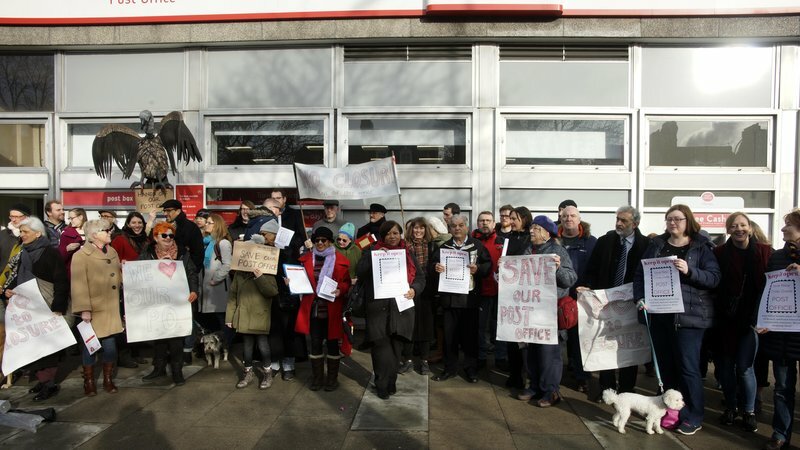 Among those they wish to close is New Cross Gate Crown Post Office located at 199/205 New Cross Road, SE14 5DH. "New Cross Gate Crown Post Office provides a vital service to the local community and beyond, and to loose such services will gravely impact those who need this local post office most. Among those will be pensioners and vulnerable people. This is a high demand, busy and heavily utilised Crown Post Office. "New Cross Gate Crown Post Office is located in a central location in New Cross, at a major public bus interchange, where for local savers there is no alternative banking facilities. It is used by a wide demographic of ages for postal services, saving, making payments, currency, passports service, as well as many other key services. In this part of New Cross there is no other banking or saving institutions, which adds to reason why the Crown Post Office at New Cross Gate would be a severe loss." One of our Society's planned projects is to turn the unkept section of land on St. John’s vale, adjacent to the station car park and below Cliff Terrace, into a landscaped green area. We are now in a position to apply for a licence from Network Rail to care for the land, but before we can do this we need to be clear that we have a large working group of volunteers to sub-manage this on behalf of St. John’s Society. 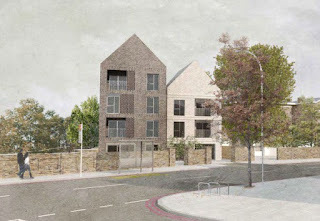 This may include residents in St John’s or in Brockley generally, and will include a small time commitment of a half-yearly meeting, working days to work away on the site and also planning, design and health and safety matters. If you have green fingers or organisational skills and wish to be involved, please reply to this email or email me directly (rogeroliverlewis@gmail.com). We can only move forward if can find ten volunteers to steward it through to completion, so please if you wish and have the time and resources to make a contribution, get in touch! Head Brewer Jon Travis, will be leading the day, using the all-grain method of brewing, the Grand Master of brewing techniques! 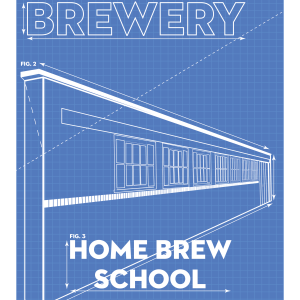 You’ll have a great brewing experience, whether you’re an absolute beginner, or have dabbled at home brew but need to pick up some expert methods and tips. All the ingredients you’ll use will be the highest quality Malt, yeast, hops and water. What’s more you’ll get to take home 10 Litres of your own hand-crafted ale for quaffing! England's worst school have been revealed as official figures show 365 education centres have failed to meet the government's minimum standards. One in eight of England's mainstream secondaries were under-performing in 2017, according to new statistics. This is up from 282 schools , just under one in 10 - the year before. According to analysis of the data, it means 260,783 schoolchildren are now being taught at under-performing secondaries - about one in 12 (8.6%), compared to 206,991 (6.8%) in 2016. Schools fall below the government's performance threshold if pupils fail to make enough progress across eight subjects, with particular weight given to English and maths. The Department for Education said the rise in under-performing schools is because of technical changes to the points system used by government statisticians to calculate a school's performance. 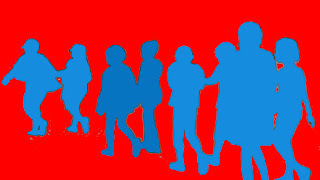 Geoff Barton, general secretary of the Association of School and College Leaders (ASCL), said: "As the DfE itself says in today's statistics, these changes are the main reason why there has been an increase in the number of schools which are deemed to be below the 'floor standard' for Progress 8. With thanks to Daniel for the tip-off. A proposal has been submitted to Lewisham Council to replace Aladdin's Cave, the Lewisham Way treasure trove, with flats. The demolition of the existing structures and the construction of a part 3, part 4 storey building at 72 Loampit Hill, SE13 to provide a commercial unit (Use Class B1a) on the ground floor and eight self-contained residential units (Use Class C3), together with 20 cycle spaces, a refuse store, a communal garden and a wildlife ecology garden to the rear of the site. "The site was formerly Lewisham Road station on the little known Greenwich Park line which closed 100 years ago, though the station building is still in use by Aladdin’s Cave. It will be demolished under these plans despite being locally listed. "The application states the building is beyond repair." Thanks to Monkeyboy for the news. The scout hut, situated on Courtrai Road, is on a strip of land bordering the railway line, the ‘middle part’ of the New Cross to Forest Hill Cutting that runs between Courtrai Road and Dalrymple Road. The whole stretch is already recognised by planning policy for its wildlife significance, designated as a Metropolitan Site of Importance for Nature Conservation (SINC) in the Lewisham Local Plan, dating back to the 1990s. A Tree Preservation Order has been in place for the site since 1997. 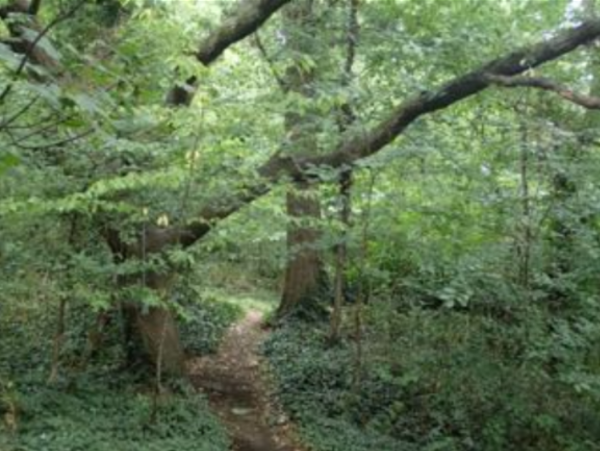 This woodland is home to a variety of protected species including bats and hedgehogs and many mature trees; it is the oldest section along the green corridor, with winding paths through a dense cover of mature woodland. In order to protect the wildlife and their habitats local group the Fourth Reserve Trust is actively campaigning to preserve the neighbourhood’s fragile nature corridor and get the cutting recognised for its ecological significance as a statutory Local Nature Reserve. This would be of great benefit to the neighbourhood, in particular local schools. I'm a Brockley resident and just released a single and the video is based entirely on the fallen tree remains in Hilly Fields. "I’ve heard from two reasonably sensible people about two bits of info which seem to have no evidence anywhere else to back them up. "The first is that that Lewisham shopping centre is due to be demolished and an underground shopping centre built under the road/former roundabout with a – gasp! – Waitrose. Just the market retained but a spirited local campaign already going to ‘save’ the (?) empty Citibank tower. 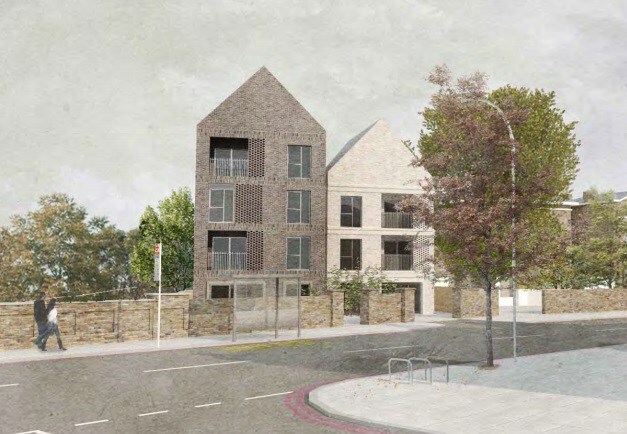 "Secondly that in Ladywell a block of flats is due to be built in the space occupied by the carwash with a mini supermarket underneath, presumably of a Tesco/Sainsbury kind. Have you heard anything? Lewisham gov website hints at possibilities for further developments but nothing concrete." Harpist +TATYANA+ brings her unique program to an acoustic setting at the Take Courage Gallery with a selection of original songs. 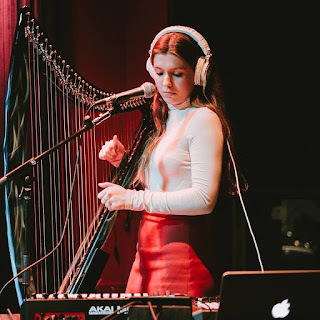 The evening will culminate with a Sound Bath which is a simultaneously inclusive, interactive, and subversive music-led meditation exploring the therapeutic vibrations of the harp, blurring the boundaries between pop, jazz, Celtic and folk traditions and combines this new style with warm, lush vocals and electronic drums. 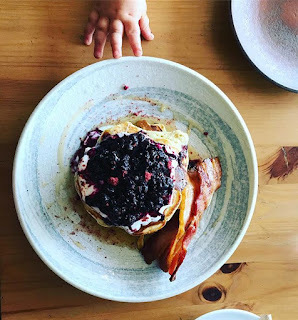 Initially, Noak will be open only during the day from 8am till 5pm and during those times I am aiming to keep our offering similar to Noak's old menu. We will offer a cosy and friendly atmosphere with lots of baked goods, brunch and possibly homemade bread. I am postponing opening evening times as I want to properly introduce myself and the team to Brockley inhabitants beforehand. Meanwhile I will decide on the best possible offering for the area based also on our guests suggestions. We are on the lookout for professional and passionate chefs of all levels (preferably with bakery or pastry experience), kitchen porters and front of house team members. Masala Wala is the second Brockley Cross business to suffer a smashed front window in recent weeks after The Brockley Deli was on the receiving end of a similarly gratuitous act of vandalism before Christmas. Nothing was stolen, but this is a cost that would hurt any small business. 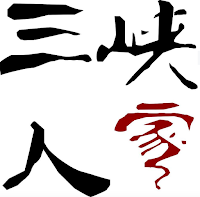 Given the fairly abject state of Chinese food options locally, I thought this review of Deptford's Sichuan and Hubei cuisine specialist, Sanxia Renjia, worth sharing with you, just as Monkeyboy shared it with me. 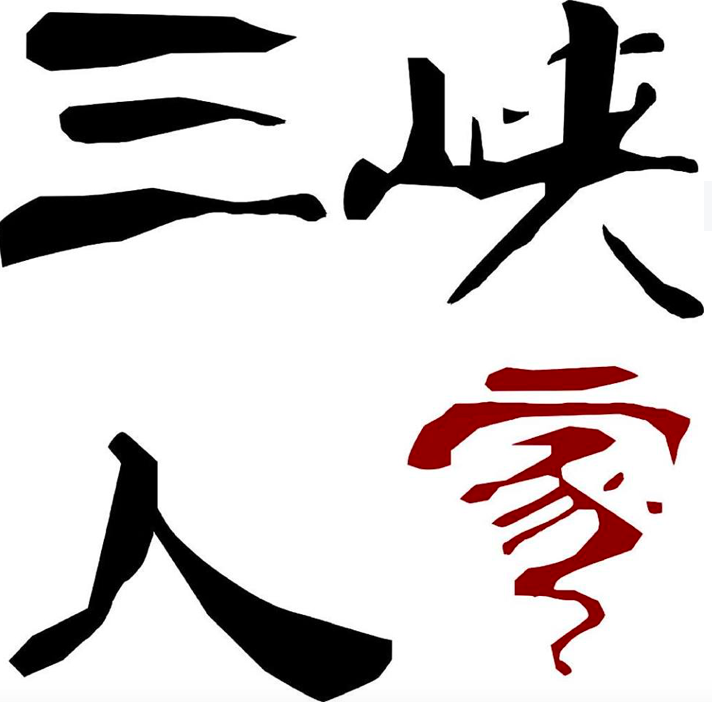 Sanxia is on a different mission. Yes, they do have a list of Cantonese standards. The unadventurous of Blackheath must have their hit of sweet and sour pork. But the staff, like the rest of the menu, are eager. They want you to march across unexplored territory. It appears they even managed to convince Mr Crispy Duck. As he was paying, we heard him complaining that the chicken with red chillies had a greater volume of chillies than chicken. Which is exactly as it’s meant to be. The drifts of crisp-fried red chillies are there for the aromatics, to be dug through in search of the treasure. They are not there for eating. - Waiting lists, already too long, will get longer. - Clinicians will be forced to make impossible decisions about which cases are less serious, which children will have to wait longest and who will not get the best care. - More children will go to A&E if these cuts happen. When young people are in crisis, they often attend A&E because community services are overstretched. This is distressing for them, it is not the suitable environment and it adds pressure to the hospitals. "Services on the London Overground network have been disrupted after engineers were forced to take trains off the tracks amid "safety" fears. "Part of the braking system is understood to have fallen off from one of its trains "within the last week". "As a result the network's branches to Croydon, Crystal Palace, New Cross Gate and Highbury and Islington have all been forced to close. "TfL say the "extra safety checks" has resulted in a "shortage of trains". "The problems have caused severe delays on other parts of the network at Richmond, Clapham Junction and Willesden Junction." "Customers for the North & East London Lines are strongly advised to use alternatives routes. There is no estimated time when this issue will be resolved. Updates will be posted on the feed." Hey Prezzo! Work has started on the new Mamma Dough restaurant in Ladywell Village. Ladywell's pizza Pilgrims teased us with a glimpse of their new oven before Christmas, which arrived Express delivery. Ladywell residents must be hoping for a Domino effect, as a new restaurant will add critical mass to the high street. Let's be Franco, there are still too few places to eat to serve the hungry denizens of SE13 - there is no chance this Hut will Fold. Congratulations to Vietnamese cafe Bite Mi, winner of Brockley Central's Best Newcomer Award for the best new local high street business of 2017. Bite Mi is a fast, friendly cafe with a simple and authentic menu that has consistently drawn the crowds since it opened in February. With the recent departure of Coulgate Street's Mo Pho, it filled a hole in Brockley's culinary landscape and its stomachs. This is the third time in four years that a Brockley Cross business has collected the Award, a remarkable turnaround for an undeniably ugly patch of SE4, which was once best known for gang violence and bad parking. It's also worth noting that this is yet another independent winner, drawn from an all-independent field. The closest we came in 2017 to seeing a chain open in Brockley was the arrival of Gently, the sister store of previous winner Gently Elephant. 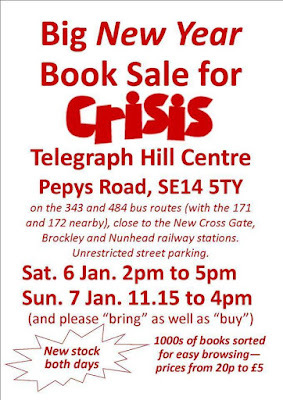 When Tesco opened on Lewisham Way a decade ago, many predicted it would herald the end of independent Brockley. Instead, the last ten years have been a golden age for local startups. While the supermarkets have moved in with a vengeance, they are surrounded by high-quality, adventurous and successful local businesses. With the exception of Ladywell's El's Kitchen, which changed ownership but continues to flourish as The Larder, all of the previous eight winners continue to thrive to this day, while The Orchard, Brockley Market, Gently Elephant, The Brockley Deli and Masala Wala have all gone on to open more businesses in Brockley and beyond. That is an extraordinary record, of which they and we can be proud. Due to some extremely unusual voting behaviour and web traffic patterns during the recent poll for the Newcomer of the Year Award, I am re-running the vote to ensure the integrity of the result. I prefer to keep everything on an open platform like this website, but in order to ensure that the result is not manipulated, I am instead going to run the vote on Facebook. Sorry for the delay. 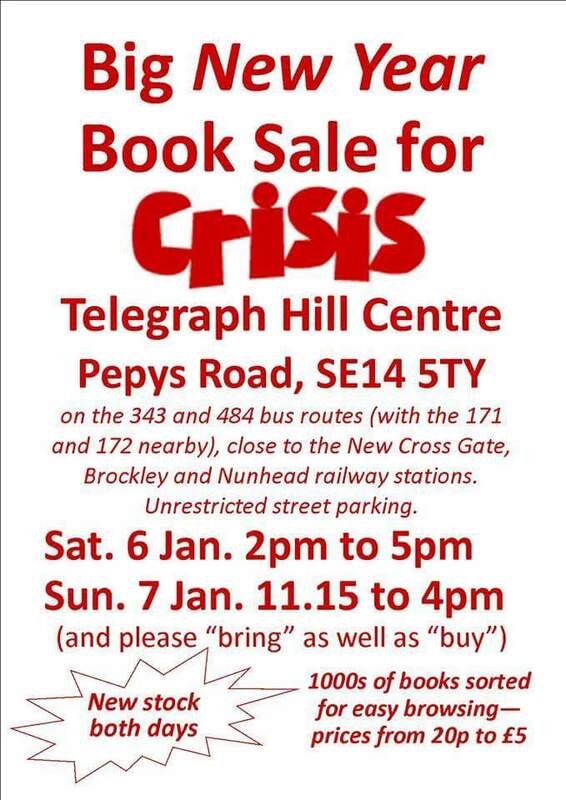 Those of you who want to show your support for a local business, please head over to the Brockley Central Facebook Group to vote now. Voting will close on Friday night. To match demand, we’re changing the frequency: Monday to Saturday day times buses will run every 12 minutes (previously every 10 minutes). Thanks to 853 for the heads up. 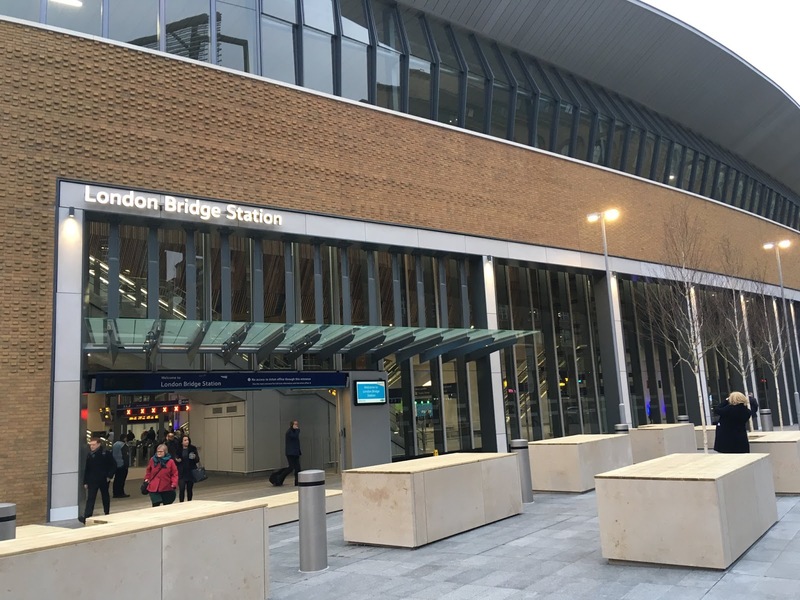 The huge new London Bridge Station concourse opened as planned this morning, enabling passengers to switch platforms with ease. It won't stop Southern arbitrarily cancelling evening trains to Brockley on a nightly basis, but you'll have somewhere epic to wait for the next one, with 70 new shops and restaurants due to open this year. 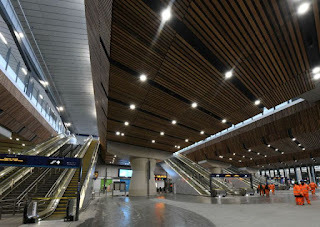 The new concourse will also allow Cannon Street services to resume calling at London Bridge and provide much quicker access to Tooley Street.